Microsoft is excited to announce that the next version of SQL Server (SQL Server v.Next) Community Technology Preview (CTP) 1.1 is now available for download on both Windows and Linux. In SQL Server v.Next CTP 1.1, part of our rapid preview model, we made enhancements to several database engine and Business Intelligence (BI) capabilities which you can try in your development and test environments. Support for additional data sources, such as MySQL. Additional data sources are planned in upcoming CTPs. Data transformation and data mashup capabilities. Support for BI tools such as Microsoft Excel enable drill-down to detailed data from an aggregated report. For example, when end-users view total sales for a region and month, they can view the associated order details. Support for ragged hierarchies in reports, such as organizational and account charts. Enhanced security for tabular models, including the ability to set permissions to help secure individual tables. For more detailed information about Analysis Services in SQL Server v.Next CTP 1.1, see the Analysis Services Team Blog. Language and performance enhancements to natively compiled T-SQL modules, including support for OPENJSON, FOR JSON, JSON built ins as well as memory-optimized tables support for computed columns. Improved the performance of updates to non-clustered columnstore indexes in the case when the row is in the delta store. Batch mode queries now support “memory grant feedback loops,” which learn from memory used during query execution and adjusts on subsequent query executions; this can allow more queries to run on systems that are otherwise blocking on memory. In addition, we have added support for Red Hat 7.3 and Ubuntu 16.10 to SQL Server on Linux. For additional detail, please visit What’s New in SQL Server v.Next, Release Notes and Linux documentation. Download SQL Server v.Next CTP 1.1 preview today! SQL Server v.Next brings the power of SQL Server to both Windows – and for the first time ever – Linux. SQL Server enables developers and organizations to build intelligent applications with industry-leading performance and security technologies using their preferred language and environment. Try the preview of the next release of SQL Server today! Get started with the preview of SQL Server on Linux, macOS (via Docker) and Windows with our developer tutorials that show you how to install and use SQL Server v.Next on macOS, Docker, Windows, RHEL and Ubuntu and quickly build an app in a programming language of your choice. 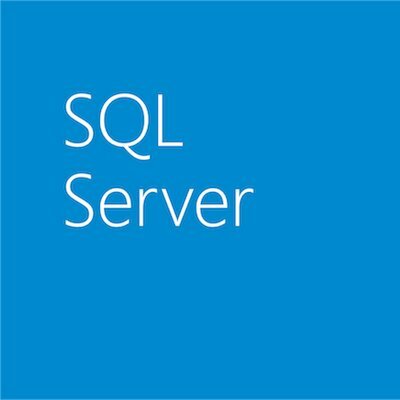 Visit the SQL Server v.Next webpage to learn more. To experience the new, exciting features in SQL Server v.Next and our rapid release model, download the preview on Linux and Windows and start evaluating the impact these new innovations can have for your business. Have questions? Join the discussion of the new SQL Server v.Next capabilities at MSDN. If you run into an issue or would like to make a suggestion, you can let us know at Connect. We look forward to hearing from you!